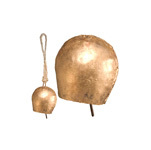 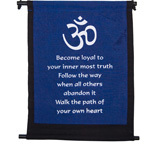 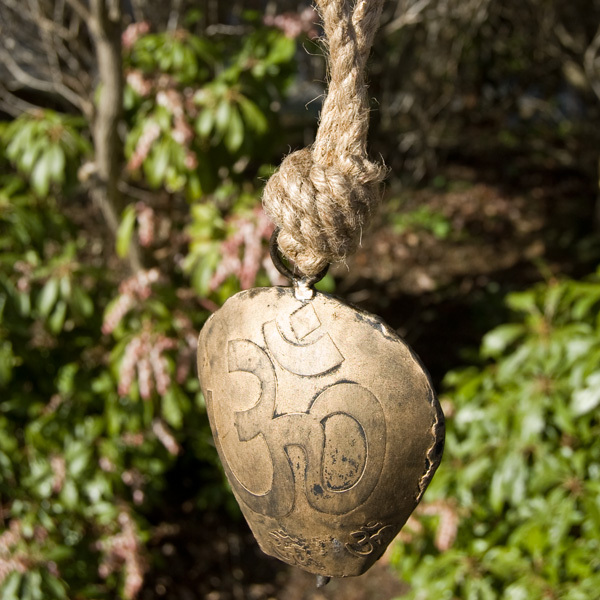 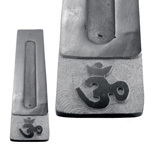 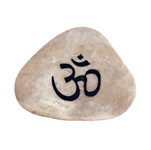 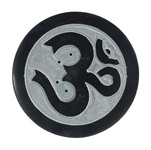 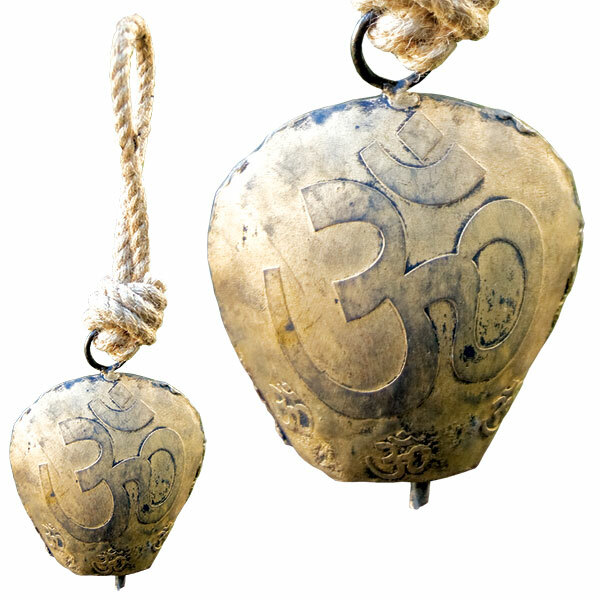 This gola shaped bell has a rope handle and the Om symbol on the front. 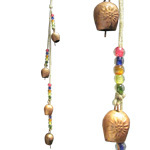 These bells are made by artisans in India using an age-old technique of metal-work (metal is beat into shape by hand, then buried under the hot sand kiln). 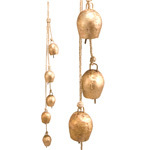 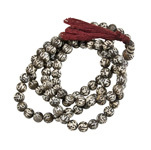 This gives each bell a unique patina and beautiful round tone.